Hello guests! I hope you are well and happy. You can now find us in Thomsons web site, in the summer collection brossure and in thomsons greece brossure. You can also book directly with us sending an e-mail at: info@athinaapts.gr. we wish you a "Merry christmas" and a happy new year. we have just returned from a fab week at the athina apts in kalamaki. They were great apts, located over a shop and restaurant, very central location. The only downside was no air con and it was very hot at night. They were very clean and the maid came daily. Kalamaki is a great resort, but i was very disappointed not to see a turtle. The olive tree restaurant was excellent as were all the other restaurants that we ate at. We didnt have a bad meal and the people are lovely, couldn't fault the holiday. Dennis is lovely and very friendly. Apartments were clean and in a fantastic location. Would have loved air conditioning though. A big thank you to Dennis and his mum for providing us with a room on our last day. Hope to return in the future. My husband and I went to the Athina apartments in june and I must say the apartments were very good, they were spotlessly clean and the staff were very friendly. The position of the apartments were excellent. The only problem for me was that there was no air conditioning and as the weather was very hot, it did become uncomfortable. Overall I would recommend these apartments as they are excellent value for money and you wont be disappointed . We will be returning soon..
went to Athina 18th may had a great time as always Apartments were still up to there high standard . Just booked 2 weeks at the Athina for mid September, have been coming to these apartments regularly for the past few years. Tried somewhere different last year due to late booking, looking forward very much to being back in these apartments in 2007. P.S Does anyone know if Athina And Pete have an email address/ or changed their email address?? These Apartments Are Pretty Basic. But, Have Lovely Staff And Cleaners And Great Views If You Are In The Top Apartments. From The Balcony You Have A Great View Of The Sea, The Mini Golf , And At Night, The Field Opposite Is Home To Sheep And Goat. There Is Also A Friendly Cat In The Apparment's Garden Every So Often. I Didn't Experience Much Noise As I Was Not Bedded Near The Main Road. There's A Lot For Family's To Do. Mini Golf A Few 100 Yards Away, The Beach Around 1KM Away - An Easy Walking Distance, F1 Go-Karting A Short Drive Away. The Apartments Are Situated Directly Under The Flight Path. Flights In And Out Of Kalamaki Only Occur Mondays And Fridays, With Thompson And Portland Direct, And These Flights Stop Around 10PM. The Noise From The Aircraft Is Not Loud Anyway. Down On The Beach, They Fly Directly Above Your Head. It's Amazing! The Apartments Have No Pool, But Neighbouring Hotels And Apartments Are More Than Happy For You To Use Theirs. The Restaurants In Kalamaki Are Lovely. If You Don't Want To Go Far, I Recommend The Beautiful Chinese/Indian Next Door. The Pandasia Down The Road Is Also Lovely! A Bit More Expensive, But Well Worth It. I Really Recommend You Try The Venue Bar If You're Looking For An Awesome Night Out. It Really Is A Laugh. Karioke Every Night And Prizes To Be Won. A Pool Table For The Kids And Bingo For You. Seamus - The Host Is Great! I Hope This Helps. And I Hope You Trust A 14 Year Old Welsh Girl? Any Queres, Ask Me. I May Be Young But More Than Happy To Help. Thanx for a lovely weeks stay at the Athina Appartments, nice clean rooms and helpful staff, would definitely stay there again. Just returned from a week at the Athina Appts. Clean and spacious but the noise from the Fire Bar opposite was dreadful. (often until 5 am) My husband complained at the bar and it did reduce a bit. However one night at about 3 in the morning (noise keeping me awake) I saw a man who looked like a police man going in with a clip board and forms which he proceeded to fill in. Thereafter at 12 when the doors were shut the noise level was acceptable from them - but went worse from a bar up the road! Had a good holiday but sometimes you want to sleep and really feel you should be warned about the noise from the bars. The aeroplanes were no problem at all. Also be warned we had 2 earthquakes in 4 days. Buildings are built to deal with these so no worries - quite exciting really. we as a family have been to kalamki for years and been in Oct. the weather is ok for a swim but can be cooler in the evenings and is changeable during that month but saying that we have always had good weather. the shops and eating places start to close down for the season in the last week of october so there is not the choice but it is nice and peaceful then. the shipwreck can only be got to by boat which you swim from so if you are good swimmers then yes great. But it can be viewed from above on the mountain which has a viewing point . hope this helps . have just got back today from our 5th vist to this lovely place and the rest of us Goddens have been going for more than 20 times so hope this helps have a great time . 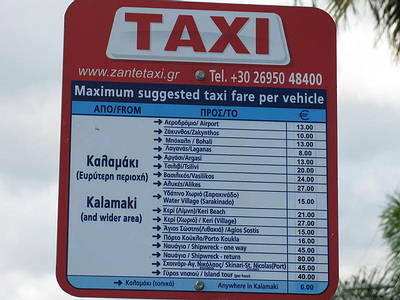 We have just come back from Zante, apartment number 7 at Athina. The apartment is situated over the main road with shop and taverna below. No noise form those but the Fire Club opposite may as well had it's decks in our room. The noise is incredible and only stops around 4 ish in the morning!!! The apartments and staff are ok but beware the noise if you have children. Does anyone know the telephone number of the Athina Apartments in Kalamaki. these apartments are in a fab location and extremley clean. Staff fab too. My 2 year old loved the goats/sheep that came into the field opposite everynight. Hi - Is there much for little ones to do? i have a energetic 2 year old who will be happy with the beach, but incase she needs a change of scenery. Also any nice family restaurants to recommend? I'm going the first week of October. Ta for any help. hi if u r going to the athina and staying at an apartment just to let u know the 1 bedroomed apartments are above the restraunts on the main road so it can be very noisy at night but hey! ur on holiday and after a few drinks and nights u get used to it, my husband spent many a night there, we would love to go back but next time would book a studio as they are away from the main road and noise and set around a lovely garden , also the apartments have two flights of steep steps hard when lugging suitcases up!, as no airconditioning because we went heatwave early july, a fan is a must as u can be aware being above restraunts, they are 15 euros for 1 week 25 euros for two weeks, safe is 35 euros, the apartments are above a greek restraunt and we were above the chinese/indian the others above a shop, the two end ones have a lovely side balcony also so ask when booking, the basement apartment/studios are at bottom and back onto the shop/restraunts so would be also hot, all in all a lovely place, i think the staff and especially the cleaners kept the place lovely so deserve a big clap, would love to be back in lovely zante happy holidays to all going or thinking and hope my coments help! i stayed at athina aprtment for two weeks and i realy enjoyed it. the maids and owner were very nice people and made sure that the rooms were clean and nice to talk to. the food is very nice in the resturaunt especially tazies. the beach is very near to the apartments, its a 5-10 minute walk. we would definately consider going there again. 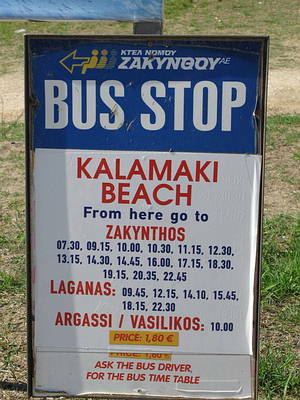 I have been to Kalamaki for years and this June stayed at the Athina Apartments. For some reason my wife and I were given a family room - a basement room I may add - room number 1. I would rather have stayed in Room 1 at the Bates Motel and risked having a shower! Everyone that enters or leave the apartments have to walk right past your room. It is beneath the restaurant and shop so the noise of tables and things being dragged across the floor at 2 in the morning is unbelievable. You cannot open the small window in the toilet when using the loo or the shower because people are constantly walking past and can see and hear you. The front door is glass so if you use the shower you have to try and then dart out of the bathroom in to the bedroom without being seen from the outside! There is no balcony, just a small area directly outside your door to sit. You cannot sit around the table provided outside as there is not enough room, instead the chairs are lined up like a bus stop. There is a communal book shelf for people's use directly next to the toilet window, so people gather there to exchange stories and books! There is no privacy in Room Number 1 and if we had children with us we would have been mortified. The room itself was very basic although very clean and fans were provided free of charge presumably because we had no windows that could be opened. The location of the apartments are excellent but the location of Room Number 1 was certainly not. It's a shame because the staff including the cleaners are lovely people.